Lunar New Year just isn’t the same without a Stephen Chow (周星馳) film on-air, but that tradition is fortunately coming back for the new year. This week, the award-winning filmmaker announced that he will be releasing The New King of Comedy <新喜劇之王>—related to his 1999 film King of Comedy—in time for the upcoming Lunar New Year this coming February. His film will be competing against the likes of Alan Mak (麥兆輝) and Felix Chong’s (莊文強) Integrity <廉政風雲 煙幕>, Wong Cho-lam’s (王祖藍) I Love You, You are Perfect, Now Change <你咪理，我愛你>, Andrew Lam’s (林敏驄) A Lifetime Treasure <如珠如寶>, Pang Ho-cheung’s (彭浩翔) Missbehavior <恭喜八婆>, and the Malaysia co-production A Journey of Happiness <玩轉全家福>. Directed by Herman Yau (邱禮濤) and starring mainland Chinese actors Wang Baoqiang (王寶強), Yao Chen (姚晨), and Jelly Lin (林允), The New King of Comedy was officially announced only this October, though the script has been in development for the past three years. 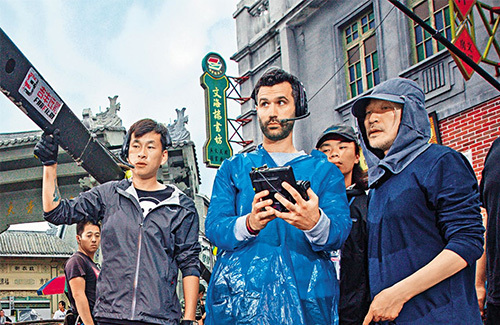 In old-school Hong Kong filming fashion, The New King of Comedy wrapped up filming in only a few weeks. The film is expected to drop in Hong Kong theaters on Lunar New Year 2019, to celebrate the franchise’s 20th anniversary.